I love Golden Years weddings. Mature couples who have raised families, retired from careers and, for whatever reason, are single again. When they are lucky enough to find love later in life their story is usually heartwarming and full of hope. 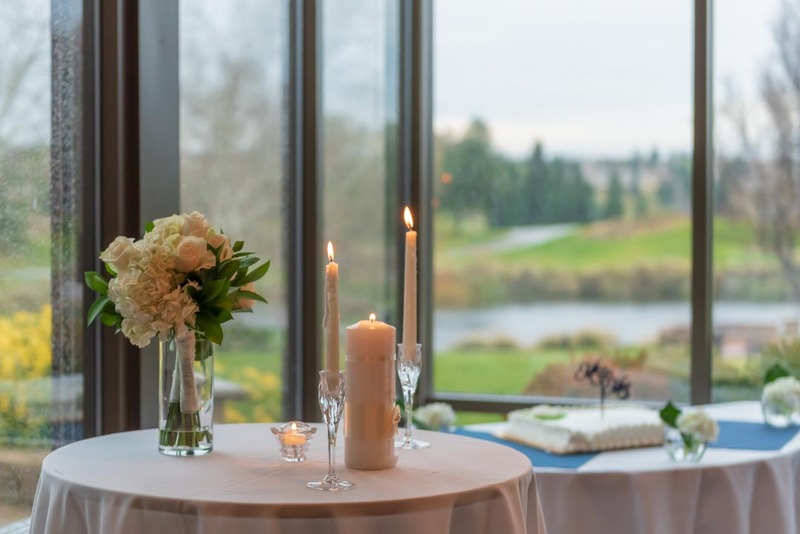 While some might choose to have a big wedding celebration, these couples often prefer a sweet and simple ceremony before their closest friends and family. That’s exactly what Al and Cathy wanted. 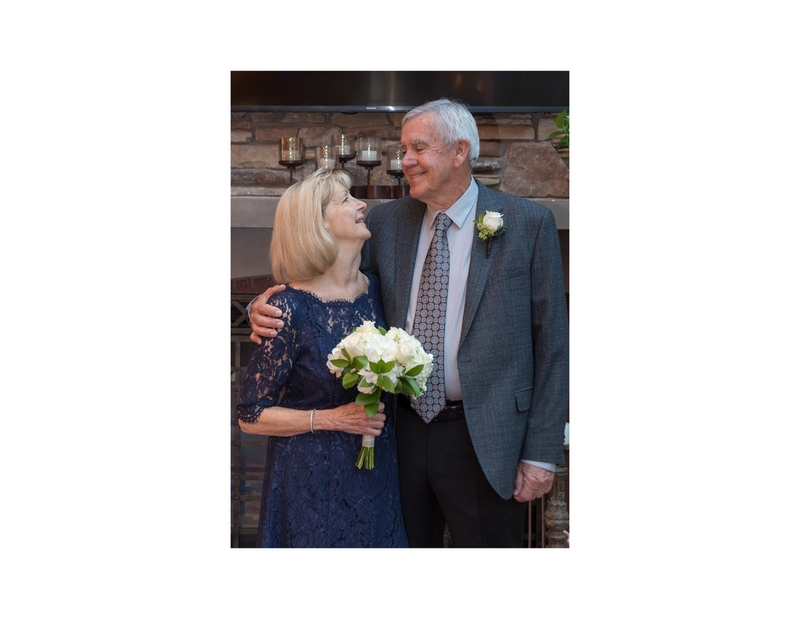 Al was a widower living in the Del Webb community in Lincoln Hills, California. He met bubbly divorcée Cathy on the tennis court. She was “glistening” after a tennis match, and Al offered to buy her some water! A spark of attraction ignited between them, they began dating and soon recognized that they wanted to spend their lives together. You touched my heart from the very beginning because you are a wonderful and unique person. 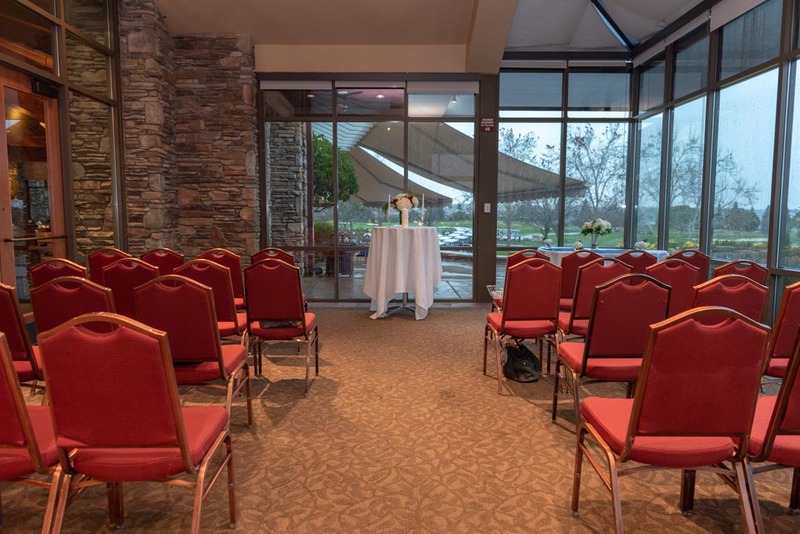 So Al proposed and Cathy said “Yes!” They chose the Solarium Room at Orchard Creek Lodge for their intimate winter wedding. I was honored to perform their wedding ceremony, and take a few photos afterwards. 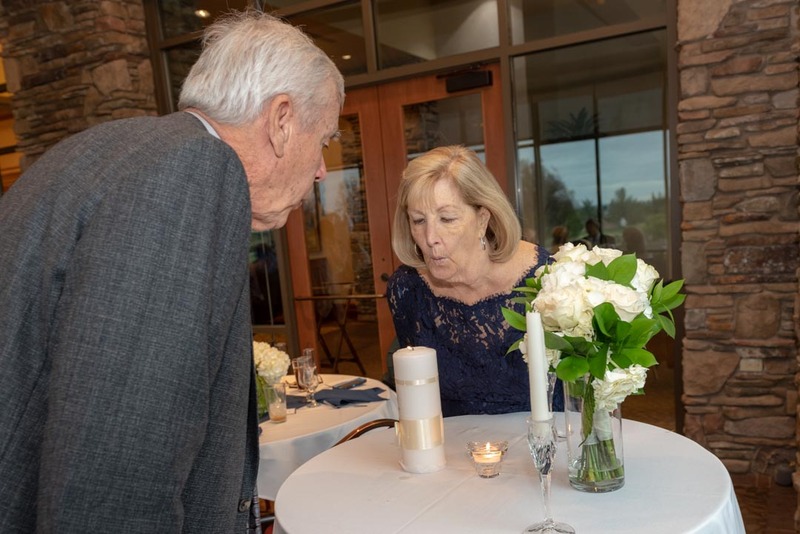 Witnessed by their families and a handful of dear friends, their ceremony included sweet personal vows, a unity candle ceremony and – as Al admitted – a bit of a leak around the eyes. It does not envy. It does not boast, it is not proud. And through all the years. And your days together be good and long upon the earth. Cathy’s granddaughter was her Maid of Honor and Al’s long-time friend was the Best Man. They both presented sweet toasts and expressed their delight in this marriage! 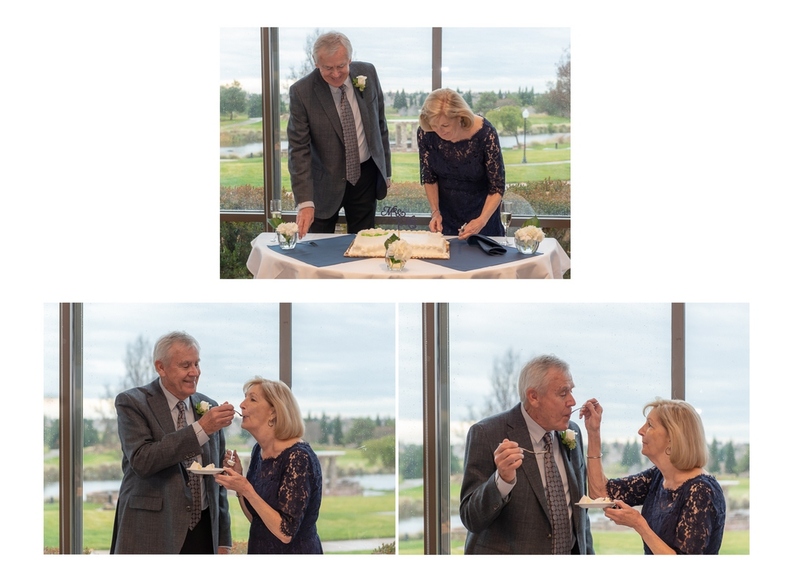 After cutting the cake, we noticed that the Unity Candle was slowly becoming a puddle of wax. So I suggested that Al and Cathy make a wish and blow out the candle together. They quickly agreed to this non-traditional idea. Cathy and Al, may your light as a couple continue to shine brightly for one another, not only in times of stillness and calm, but also during times of wind or challenge. May the inner light of your love always be an eternal flame. Congratulations, Al and Cathy, and may your wedding wishes come true! 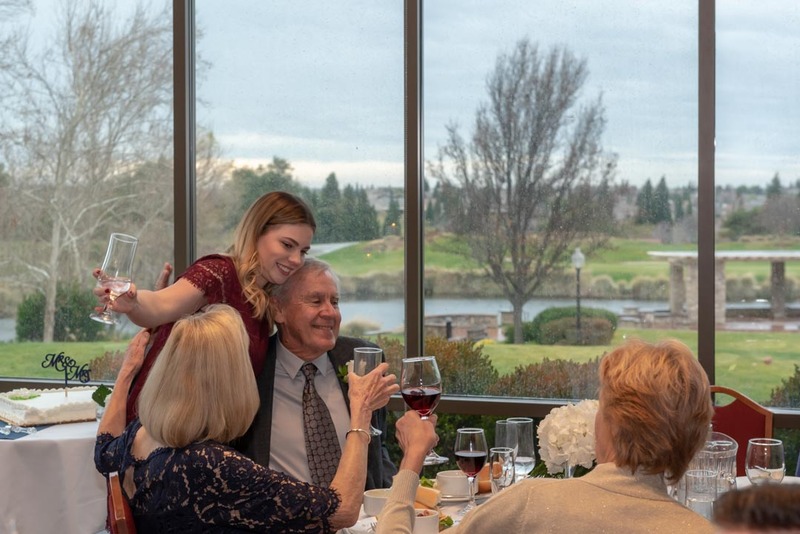 This post was posted in Weddings and tagged Golden Years, Interfaith wedding ceremony, mature bride, mature groom, Orchard Creek Lodge, Unity candle ceremony. Bookmark the permalink. 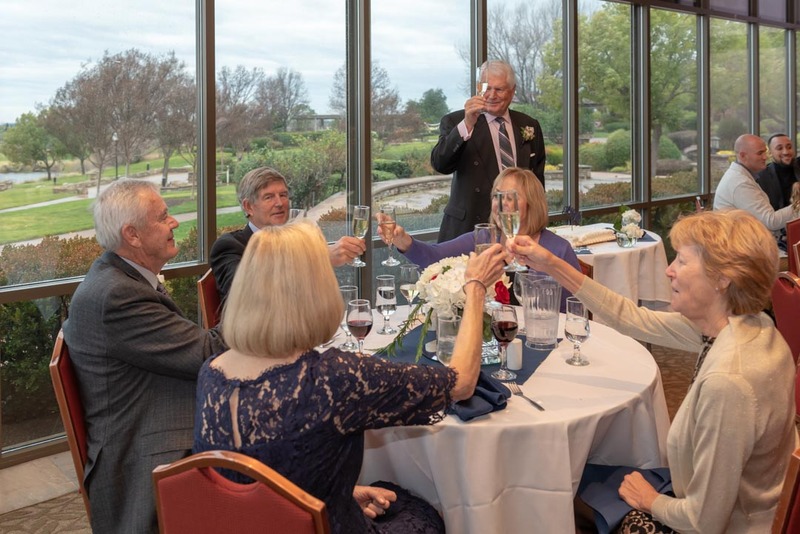 4 Responses to "Golden Years Wedding"
How very sweet. I didn’t know that golden year was a thing. Thank you for sharing. Thank you! They were a very sweet – and dynamic – couple, and proof that love happens at any age! I love this! It’s so sweet and wonderful to see! ©2019 Reverend Jeri Murphy . All Rights Reserved.